Ezekwesili also s aid that she is a credible alternative to the All Progressives Congress (APC) and the Peoples Democratic Party (PDP). 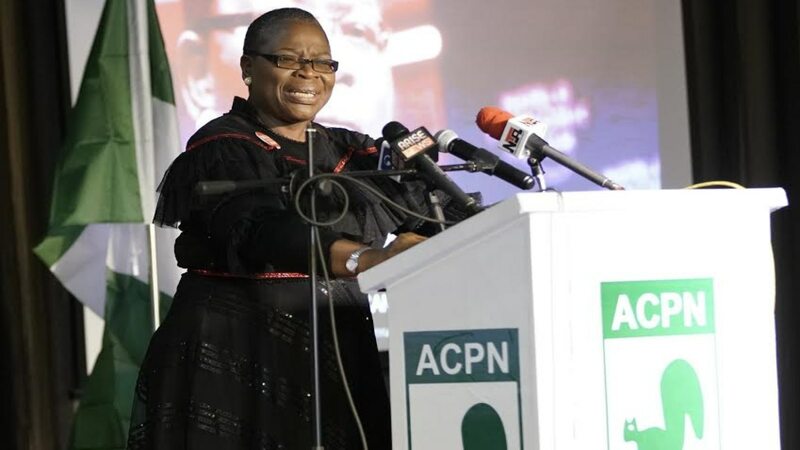 Obiageli ‘Oby’ Ezekwesili, the presidential candidate of the Allied Congress Party of Nigeria (ACPN) has responded to claims that her candidacy will only result in splitting votes originality meant for the big political parties. Ezekwesili who was Nigeria’s former Minister of Education and Solid Minerals rejected this notion reiterating that her presidential ambition in-fact stands as a credible alternative to the All Progressives Congress (APC) and the Peoples Democratic Party (PDP). “I don’t know why anyone will think it makes sense that I’m here to split votes. I am here to answer the call of majority of Nigerians who are living in abject poverty in the midst of abundance. I am running as a credible alternative to the Siamese Twins of failure that the #APCPDP represents – that is precisely why I am in the racers be President. “It is high time the ruling elite know that they have a fight in the hands – and the fight is not against me – it is against the hundreds of millions of people out in the streets with no assurance of food, shelter, and other basic amenities. That is the fight that they are in, and I can assure you that they – Nigeria’s failed leadership – cannot win,” she added. ALSO READ: Oby Ezekwesili blasts Osinbajo for "lazy thinking"
There are insinuations in some quarters that Ezekwesili’s involvement in politics is a ploy to split votes in favour of certain presidential candidates, a rumour that has been denied by the former Vice President of the World Bank for Africa. Ezekwesili’s campaign is positioned as an alternative to the two main parties which has continued to exhibit incompetent leadership and grand corruption in all its activities. According to the former minister, her campaign is hinged on lifting over 80 million Nigerians out of poverty.